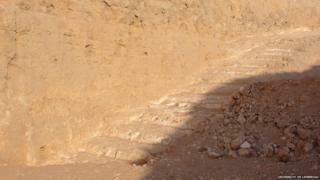 How the pyramids in ancient Egypt were built thousands of years ago has always been a question for many scientists. There are more than 100 surviving pyramids but the most famous is the Great Pyramid of Giza in Egypt - standing at over 450 feet. Many wonder how the ancient Egyptians would have been able to build such huge structures using 4,000-year-old technology. Scientists from the university of Liverpool think they may have found a missing piece of the puzzle to explain how they did this. They've found a ramp which they believe was used to pull huge alabaster blocks of stone up the Pyramids using a two-way pulley system. 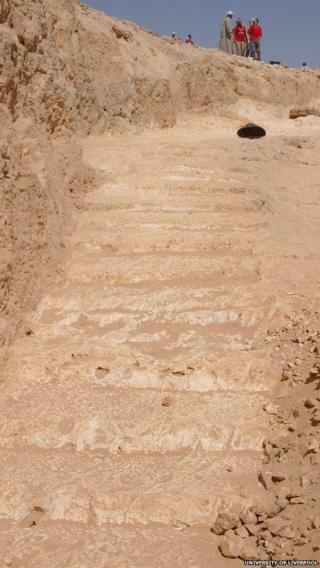 This ramp has stairways and a series of holes, which suggest that the job of hauling into place the huge blocks of stone used to build the monuments may have been completed more quickly than was originally thought. 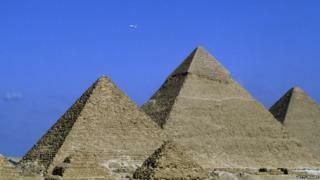 While there is no proof the method was used to make the pyramids, Egyptologist Dr Roland Enmarch said it was reasonable to suggest it would have been if the technique was in use in Egypt at the time. In the past Archaeologists have agreed that workers at the pyramids used a ramp system to move stone blocks up the pyramid, but how this system worked has been a mystery for many years. This finding may help to solve it. Who made the Egyptian pyramids and why? 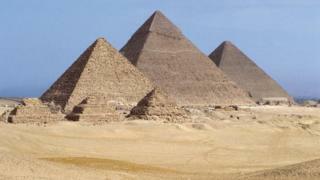 The pyramids were ordered by the kings of ancient Egyptian society called Pharaohs. They found the best engineers and architects to help design and build the monuments. Most of the pyramids were built as tombs - the final resting places for Egypt's royalty who took all their worldly possessions with them.